Valentina Matvienko has blasted attempts by some western media to misrepresent Russia’s role in the Ukrainian crisis, and assured that there will never be a war between the two countries. 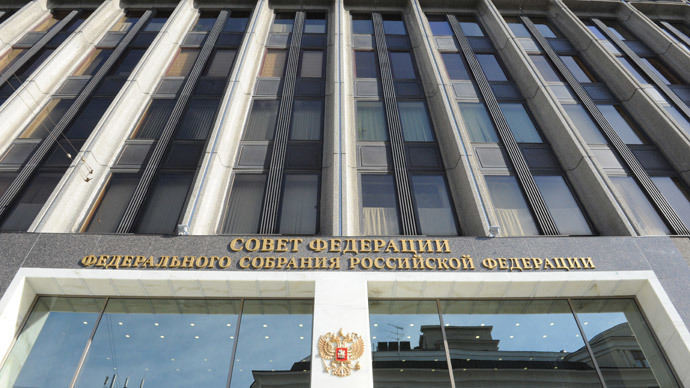 During Friday talks with the speaker of the Crimean legislature Vladimir Konstantinov in Moscow the head of the Federation Council emphasized that Russia sought no confrontation with any party in the crisis and seeks cooperation with Ukraine, the European Union and United States. “We should abandon the language of threats and start building a mutual understanding despite the existing contradictions,” RIA Novosti news agency quoted Matvienko as saying. The top Russian parliamentarian also said that her country was interested in cooperation with Ukrainian authorities lawfully elected by the Ukrainian people, noting that the current Kiev government lacks a mandate. Matvienko also condemned the description of the situation in Ukraine and Crimea by a number of Western media outlets as an “information war.” “We are sure – there will never be a war between our brotherly people,” the Russian politician said. 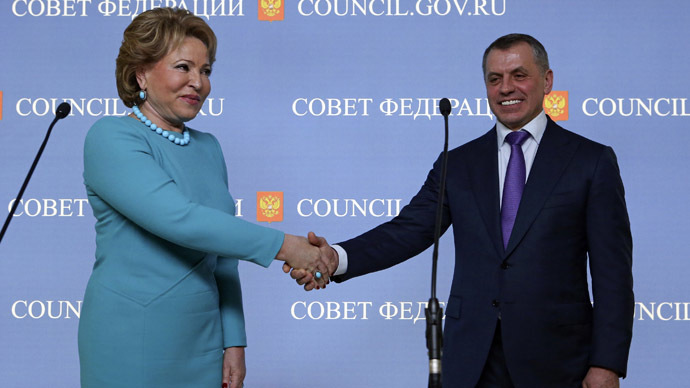 Matvienko assured her counterpart that the support of compatriots was Russia’s historical mission and promised that Crimea’s position in the federation will be the same as any other region. 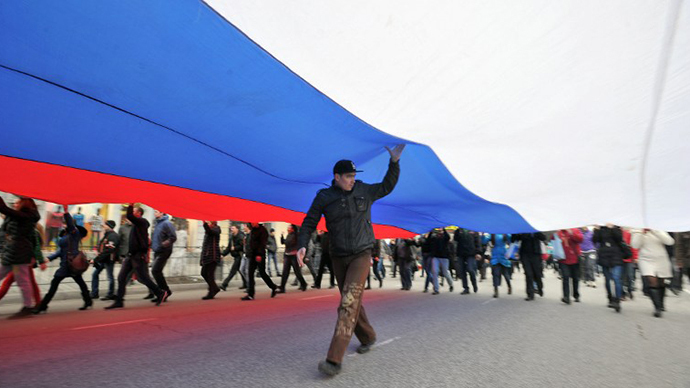 Crimean Parliament Speaker said that he hoped that in a week Crimea and Russia “will be pleasantly busy with arranging life together.” “Now we are nearing our dream of 23 years,” the politician added. Konstantinov noted that the referendum planned for March 16 will give the republic only two options – to stay with Ukraine but enjoy broader autonomy under the 1992 Constitution or join the Russian Federation and receive security guarantees from Russia. “We have no claims for statehood, but we have to defend our people,” he said. Matvienko replied that Russia’s recognition of the Crimean referendum results was far from being emotional, but was a legal position reflecting the worries over security of the republic’s population. Also on Friday Vladimir Konstantinov met State Duma speaker Sergey Naryshkin who assured him that Russia would support any democratic choice made by the residents of Crimea and Sevastopol. 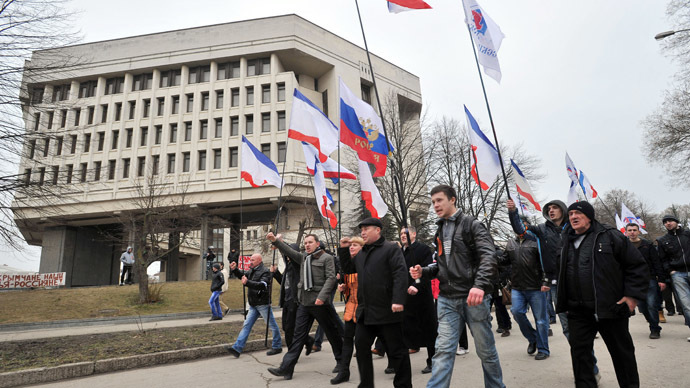 “We understand the natural urge of Crimeans to ensure their safety; it is natural that the Crimean authorities seek to coordinate the decision with the opinion of all local residents through a democratic procedure – the referendum. 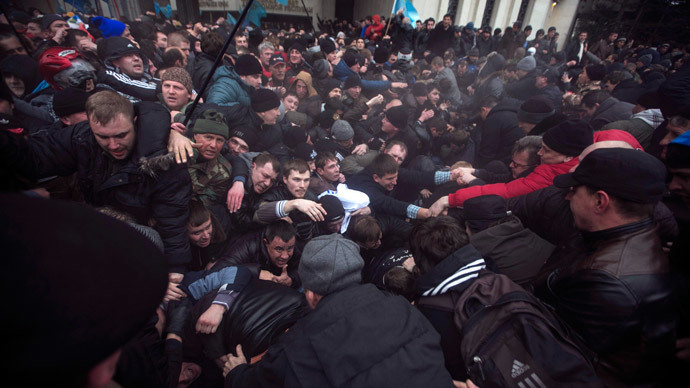 We will treat the historical choice of people with respect,” Naryshkin said during the meeting. At the same time the Russian president emphasized that he regarded Russian-US relations as of paramount importance to guarantee stability and security in the world.